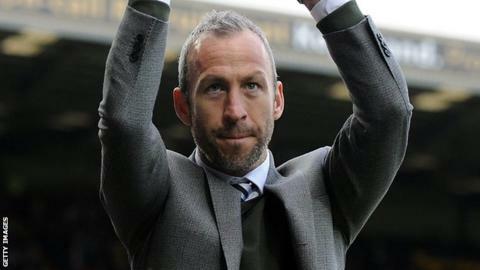 New Cambridge United manager Shaun Derry says he wants his players to start enjoying their football. The 37-year-old former Notts County manager was unveiled as the League Two club's new manager on Thursday. "I want them to enjoy being professional footballers," he told BBC Radio Cambridgeshire. "I sensed last week in the game, even though we won, there was still a reluctance on the faces of the players to really enjoy the win." Cambridge beat non-league Basingstoke 1-0 in the FA Cup first round on Saturday, their first game since Richard Money was sacked as manager with the club 18th in the fourth tier. "I'd like them to enjoy the win, because there's a lot of downs in football," added former Notts County manager. Derry. "Hopefully we'll be able to share some of those moments going forward."